Managing a school or any organisation for that matter is not a cakewalk. It requires a lot of patience, hard work and proper planning. But, what if we tell you that there is something which could make this difficult and time-consuming process a lot easier? The School ERP (Enterprise Resource Planning) is a software program which brings all the different segments of school management under one single database. It has various modules including Student Management, Staff Management, Admission Management, Fee Management etc. All of these modules take care of their respective departments. For instance, the Staff Management module keeps a record of the staff, their names, their designations, their qualifications, their attendance, their salary plans etc. It also lets the school authority give them feedback on the quality of work they are doing and how they can improve. Thus by integrating all these departments in the same place, the School ERP software program makes the work of the staff as well as the authority much less complicated and effortless. It makes the school management system more productive and efficient. Along with having all these modules, the School ERP software solution is also easy to use and simple to understand. One doesn’t need to be a technology expert to use it. All the modules are arranged in a systematic manner and can be easily operated by anyone with basic computer knowledge. 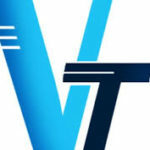 Vasp Technologies product, Desalite Connect is a School/College ERP software solution which has been designed to meet the various requirements of school management. It is user-friendly, budget-friendly and makes managing schools hassle free.